The famous Pont du Gard (UNESCO World Heritage Site) is the best preserved Roman aqueduct dating back the 1st century AD. The upper canal carried the water from Eure spring to the Roman city of Nîmes. 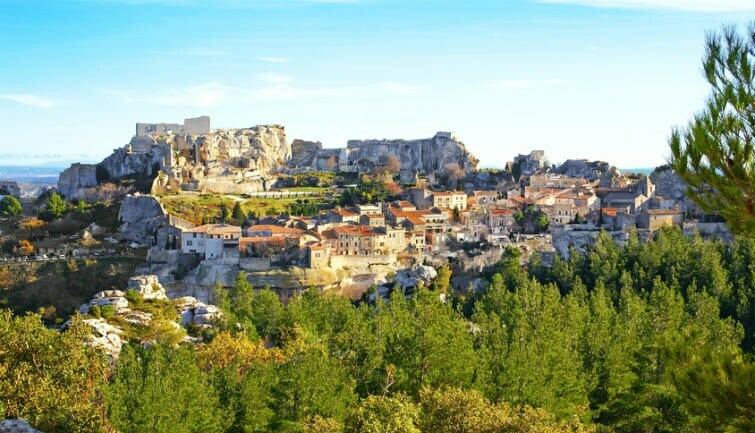 Stroll in the narrow cobbled stone streets in the medieval village of Les Baux de Provence, majestically built on a rocky spur in the Alpilles mountain range. Photo stop at the Antiques in Saint Remy de Provence (Roman Triumphal Arch and Mausoleum).